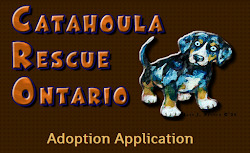 Catahoula Rescue-Ontario: Meet Maia ADOPTED! Meet the pretty and sweet Maia! We believe she is a Husky-GSD mix, and is approximately 60lbs and 4 years old. This lovely lady was rescued by the Montreal SPCA, along with 34 other dogs, from a facility in Quebec where her basic needs were not being met. She is now in a foster home, where she is being treasured as a family pet for the very first time in her life. Don't feel sorry for her though, she is one happy husky! Being under-socialized, she is unsure of new people, but her nature is inquisitive and affectionate. Although she is still very shy with new people, she is quick to come in for a sniff and a quick greeting, and a lick on the hand if you are lucky. Eventually she will come nearby to be patted. Given how quickly she is adjusting, we expect that in time and with proper guidance, she has the potential to be confident and well-adjusted young lady. For now, slow and steady is the name of her game. Maia has been polite but unsure with the dogs that she has met so far. She prefers calm and respectful canine companions, rather than bouncy puppies or dogs that come rushing straight at her. She is living with another dog her age presently, and a silly flighted parrotlet. She has demonstrated curiosity towards the small bird, but has not tried to hunt or catch him. Maia has not met children in the time that she has been with us. Right now, fast human movements can still be a bit scary for her, so an adult home, or kids around 10+, would be ideal. Maia loves chasing toys. She will sometimes pick one up and throw it up in the air all by herself. She is good at sharing her toys with her foster dog brother too. She is not showing any food guarding behaviour. Maia is crate trained and rides well in the car. So far, she doesn't whine, counter-surf, chew, dig, or jump up. She will bark a little when she is excited (like when her foster parents come home), but she is also possibly feeding off the energy of the foster brother. 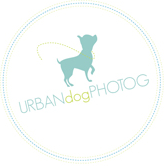 Some shy dogs will start to push the boundaries a bit more when they get more confidence, so on-going positive training and consistency will be helpful in keeping any bad habits at bay. Maia would be a great candidate for a basic obedience class once she settles in, as she is just starting to learn her commands for the first time. She is medium energy at present, and calm indoors, but with continued exercise and proper nutrition, her activity level may increase. She would love to accompany her humans on a run, and enjoys playing around with her foster brother. Maia is spayed, up to date on her vaccines, microchipped and heartworm tested (negative). She is being fostered in Chelsea (QC).